The dollar was broadly lower in Asian trade on Thursday as demand for safe-haven currencies declined after a rebound in global equities and the euro strengthened on hopes for a resolution of Italy's budget dispute. 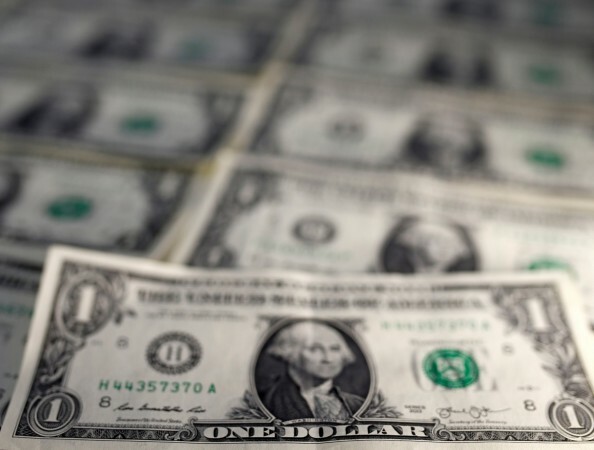 The dollar had been actively bid over the last two trading sessions as risk appetite receded on fears over a global growth slowdown and US-Sino trade conflict. The dollar index, a measure of its value versus six major peers, traded lower at 96.7 on Thursday. The index lost more than 0.1 per cent of its value in the previous trading session. "The Fed was widely expected to hike in December.. but this meeting is getting a lot more focus as market is looking for any change in forward guidance," said Sim Moh Siong, currency strategist at Bank of Singapore. Sim added that while Bank of Singapore's house view was still for the Fed to hike four times in 2019, any change in the policymakers' 'dot plot' projections would prompt significant repricing in the markets. The yen JPY= traded with a weak bias, changing hands at 113. The Japanese currency has weakened over the last two trading sessions versus the dollar. Analysts expect the dollar/yen to trade in the 111.5-114 range and move with the U.S. 10-year treasury bond yields US10YT=RR. While the Fed is on a monetary tightening path, the Bank of Japan maintains its ultra-loose monetary policy due to low growth and inflation. This interest rate differential between U.S. and Japanese bonds makes the dollar a more attractive bet than the yen. The euro EUR= gained marginally versus the dollar to trade at $1.1388. The single currency gained 0.1 percent on Wednesday despite the European Union rejecting Italy's fiscal plans for failing to comply with eurozone rules. "The situation remains pretty tense but there are incentives from both sides to reach a compromise...that's why the market remains hopeful," added Sim. Elsewhere, the British pound GBP= traded relatively unchanged at $1.2775 as traders await clarity on the progress of a Brexit agreement. The Australian dollar AUD=, often considered a gauge for risk appetite, gained marginally to change hands at $0.7266 as Asian shares rose mildly on Thursday.